In the last post we talked about steps to providing insights that will help you, as a senior leader, take steps to develop a team that is not afraid to make decisions, can fail quickly, and drive your enterprise on a value driven growth trajectory, poised and ready for the Innovation Economy. It may seem out for character for someone with procurement and supply chain background to say cost reduction is not the most important thing to work on, but sometimes, it’s better to do the exact opposite of what was learned in business school. Firms focused solely on cost reduction, as the only major initiative should be very careful. These initiatives do improve profitability. At least for a short time anyway. Simply put, cost reduction or any operational improvement/transformation initiative helps to make a company more efficient, but only to the same revenue base. In running a small firm, business owners realize very quickly this approach is not the best long-term growth strategy. In big firms, fortune 1K and larger, it just takes longer for the same realization to happen. Typically 3-5 years. The challenge for the big companies is by the time the danger is realized; it may be impossible to course correct. Over time, cost-reduction as the only initiative becomes a strong narcotic to executive leadership teams and boards of directors. It slowly extinguishes the burning platform to Innovate and Grow. It removes positive energy from the culture and takes the focus of your teams away from creating new product, process, service, and supply chain innovations. A cost reduction only mindset, over time, stops strategic growth and critical decision-making in its tracks, and many leaders inside those firms do not realize it’s happening. We advocate a first step for senior leaders to make a conscious decision to FOCUS ON INNOVATION as the engine for growth. The goal is to figure out how to get ahead of your customer needs by creating new and divergent markets and enticing the customer to buy. Some recent studies and infographic trends are indicating such a mindset shift within many industries. Innovators forecast they will grow 3X more than non-innovators over next 5 years. They are 3X more likely to say Innovation is urgent (67% versus 19%), more likely to Collaborate and treat Innovation like any other management process (78% versus 66%) and 79% say they need to Innovate Business models not just products and services. 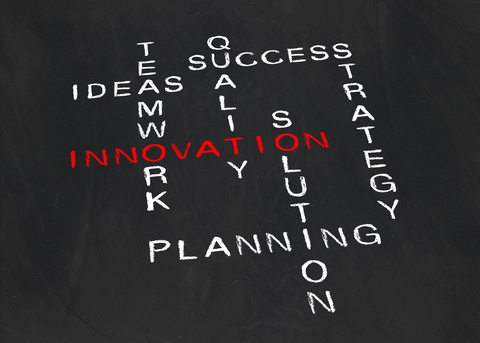 The conversation with innovation must always be around value. How meaningful and unique are you to your customers? Start to manage pipelines of Innovation focusing on two segments. The first segment is CORE innovations that continue to expand your existing and profitable product or services lines. The second segment is LEAP innovations, which are ahead of your current customers, taking you to divergent markets or creating new markets. In a recent pulse survey we conducted with several C-Level (CXO) Executives of several major firms, trends of key performance indicators of risk, compliance, cost reduction, and innovation are in some combination always top of mind. One very clear trend is that Innovation mindset thinking is becoming of more significance in supply chain. Here, Chief Procurement Officers look to identify how their procurement teams should drive value for the enterprise. Forward thinkers are looking to move their staff from the traditional buyer-planner-expediter mindset, and transition to strategic-sourcing then develop a solution-sourcing approach. The peer CXO leaders that become first movers will introduce a disruptive step change, where their teams become the trusted experts, not for cost reduction, but for innovation, value delivery, and long-term profitable growth across the enterprise.